There are two kids of pipe: one is made out of red stone that comes from Minnesota; the other, like this pipe, are made from black stone, collected nearby at Moccasin Lake and Mary's Lake. The stone is collected from underwater. The women would use the black stone pipe. They are all gone now. At ceremonies, they were used when vows are made. 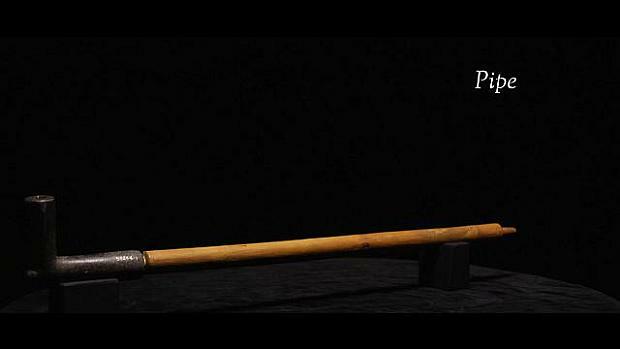 This pipe is very sacred to the Arapaho Tribe.